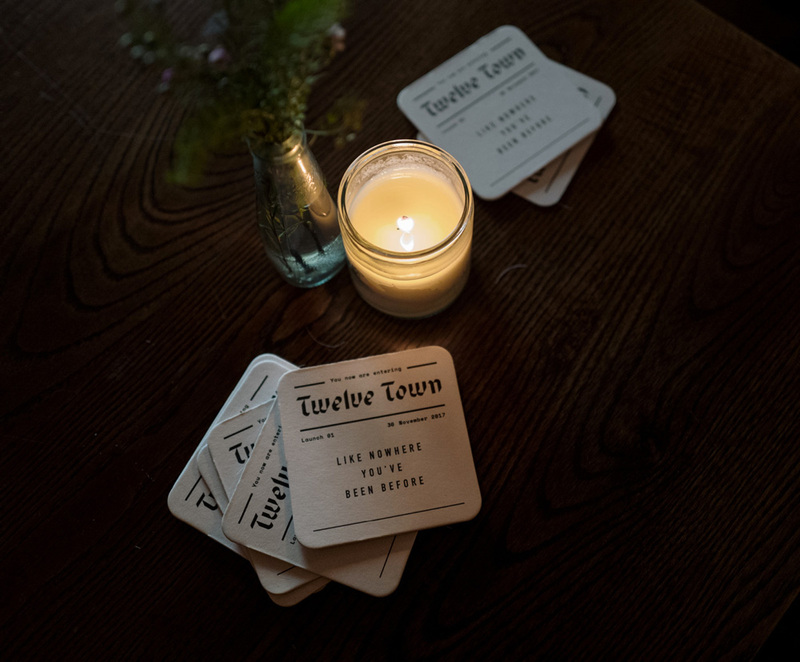 Almost from the first meeting we began to wonder what this imaginary town could look, feel and sound like, and began creating a place ‘like nowhere you’ve been before’. The visual approach takes its cues from mastheads and ‘American gothic’ typography, subtly updated and Europeanised for the 21st century. To be honest, I don’t know what’s going on with the name — mysteriousness or not — but this logo could say “Banana Peel” and as long as it was set in that super tasty custom blackletter I would love it. I am a sucker for weird takes on blackletter and this is quite fantastic with its harsh angles and odd indents in the “w”s and “v”. It looks great big, it looks great small. I also acknowledge a lot people might hate this aesthetic and that’s cool. I’m not crazy about the thick lines above and below the name but they help frame the type and make it more into a logo as well as hint at the idea of it being a newspaper nameplate. Applications are somewhat tame and bare in contrast to the richness of the logo. Feels like there is something missing to tie the logo with the spaced, condensed type. In the business cards, with the production imagery, the identity starts to take on a Twin Peaks vibe which is also alluring. Overall, they had me at weird blackletter. (Est. 2018) \"Twelve Town's focus is on the development, production, and financing of high-quality original drama series for the global marketplace. 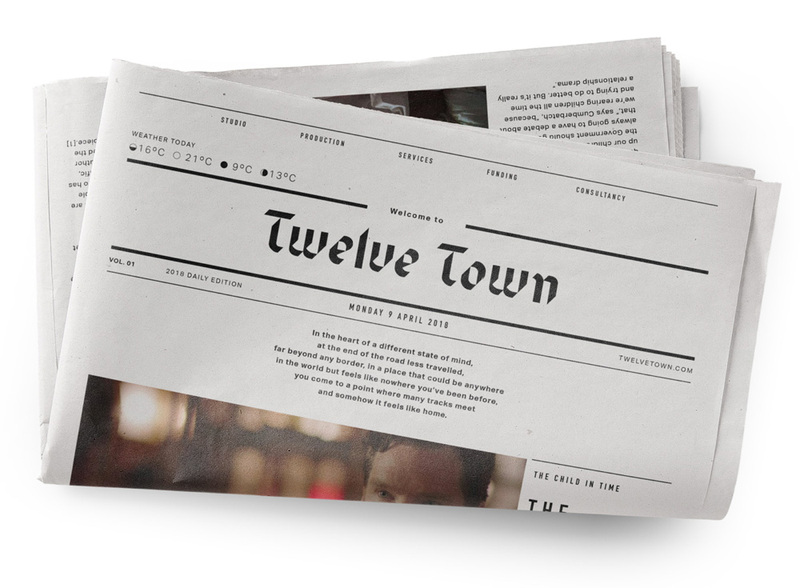 Alongside developing ambitious drama with new and established writing talent, Twelve Town is a co-producing partner for producers of drama projects around the world who are looking for development and deficit financing. Under the Pinewood Television banner, recent projects have included The Child in Time, Jordskott series 2, and in production - Conspiracy of Silence. 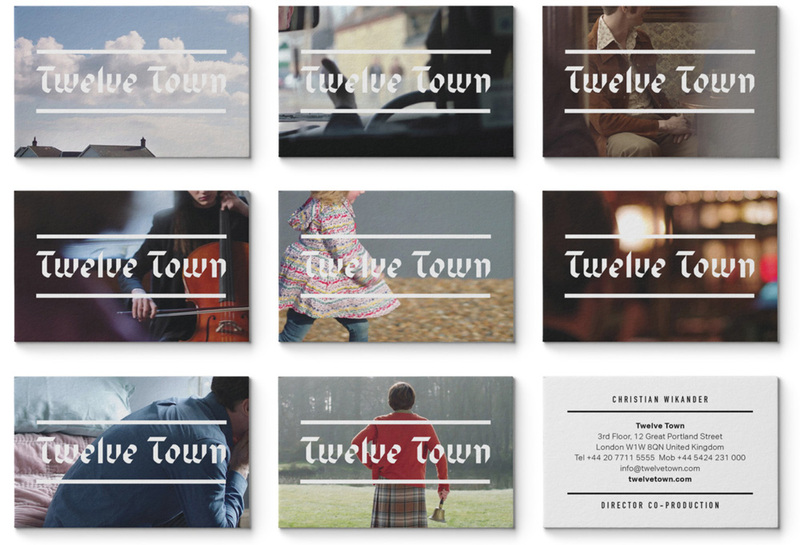 Twelve Town is owned by StoryFirst PST Limited, part of the family investment office of Peter Gerwe and partners, with investments in Pay-TV channels, global TV production, and media distribution platforms.\"